In environmental education we try to spark a student’s interest through hands-on activities. Here at LUMCON we have the unique opportunity to give students an up close look at estuary as well as marsh ecosystems. As a science-based institution we try to not only teach students vocabulary, but real-life concepts and challenge them to think like a scientist. This week we had a group of students from the Montessori Education Center and we wanted the students to problem solve. 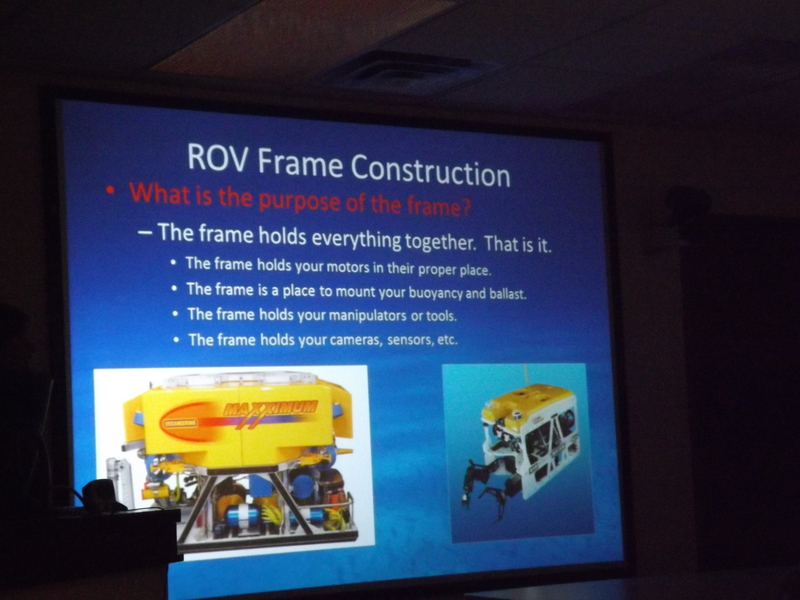 The students were given a brief introduction to Remotely Operated Vehicles (ROVs) including how they move, how they are powered, and the pros and cons to using them for scientific data collection. They were then given a challenge: to build a frame for their own ROV. Since the students that we were working with were 5th-6th grade we gave them the most basic challenge, to build a frame that could allow the ROV to move around the bottom. 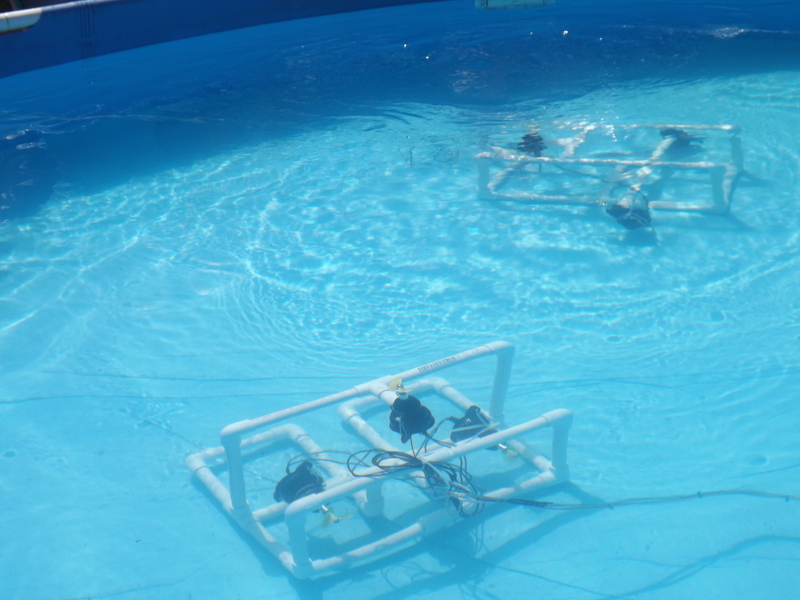 For this program, the requirements of the ROV increase with the age of the students. 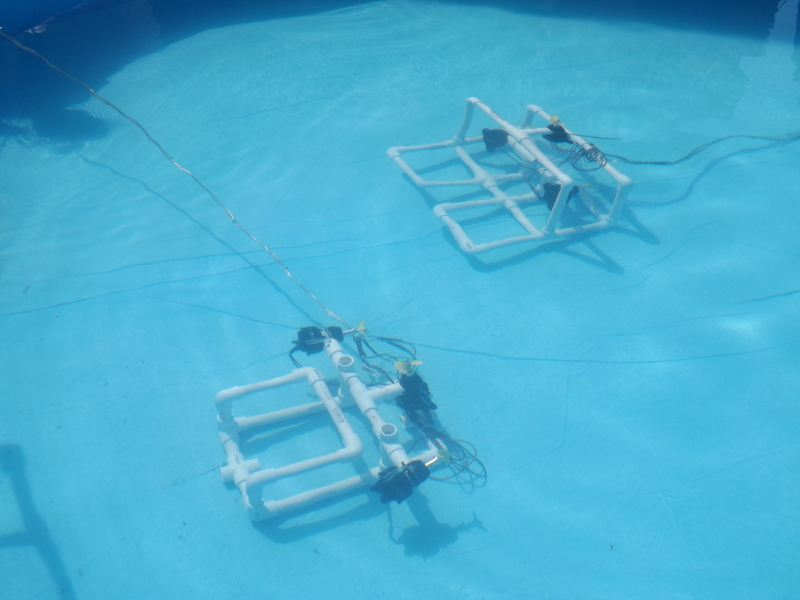 For example, high school students would have to build an ROV that is neutrally buoyant, meaning it is neither sitting on the bottom nor floating at the top, as well as preform a task such as picking up an object. Our Montessori group this week were given a few simple design suggestions and then set loose. 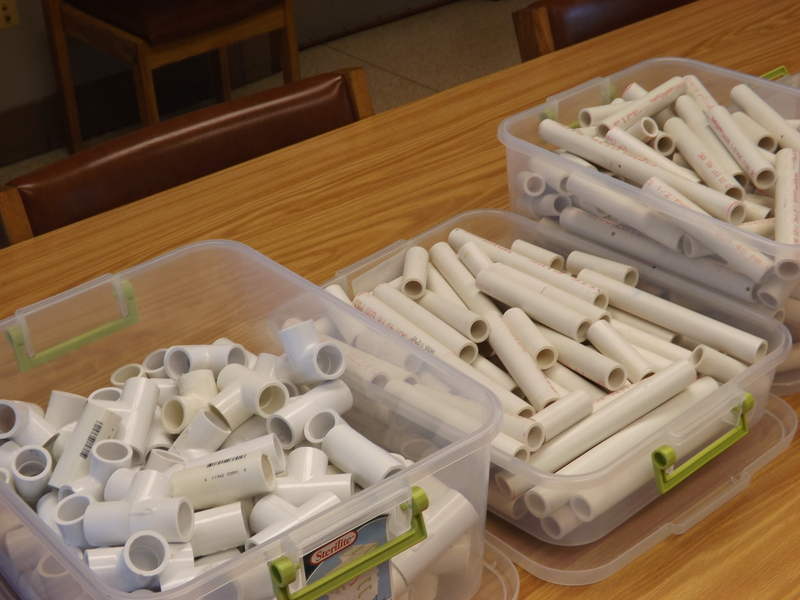 The students divided themselves into groups before coming up to our bins to choose their PVC parts. It is always interesting to watch how each group goes through the design process. One group sat and talked about every possibility for 15 minutes before even connecting a piece. Another just started putting pieces together until it became some semblance of what they wanted. The trials and pitfalls that they experienced building these robots were things that were applicable not just to science but to life. In just a short period of time they had to figure out the best way to communicate ideas with the others in their groups as well as figure out a way to make everyone feel like they contributed. My favorite moment came when one student came up to me told me that her team did not have the right piece to finish their design. I told her to use her resources to look for that piece, and that included other groups. I then told her that if she still could not find the piece that she needed, that her and her group may need to reconsider their design. By not solving her problem for her, I forced her group to brainstorm together about their options. As it turned out, they were not able to get their much needed piece and so a crazy redesign happened in a flash resulting in a design that was a lot more stable than their original frame. 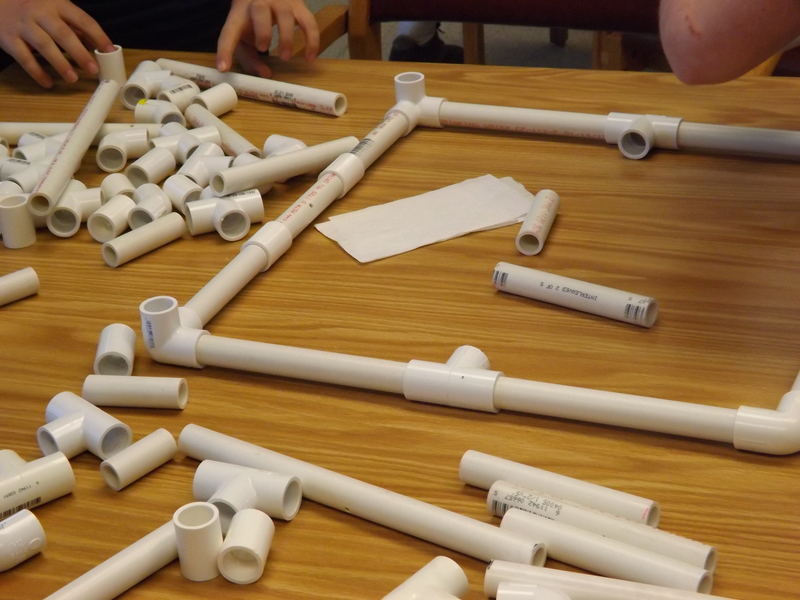 The inherent challenge of this program creates an atmosphere for students to communicate and problem solve in a different way than the classroom. As the students hooked up their creations and watched them zoom around the bottom of the pool the pride and sense of accomplishment that they felt was amazing. I was proud to be a part of their accomplishments.